Singapore, being a tropical country is well known for its wide variety of fruits from all sides of asia, this includes the “King of Fruits”, Durian. Durian is a strong flavoured fruit which suggested that those in love with it find their smell aromatic while others think it is a pungent smell. As a tropical country, Durians are being sold along streets in Singapore, just like in a usual fruit stall. However, the smell magnify itself in air-conditioned environment, especially in public transport like buses and MRT (Mas Rapid Transport). Singapore MRT (Mass Rapid Transit) has banned commuters from bringing Durian into trains so as not to “pollute” the clean air environment for all commuters. Though being banned, a fine amount was not determine for offenders for bringing Durian into the train at the moment. Apart from Durian, there are also some other fines that are being imposed on the public transport as well. Singapore concerned very much for the commuters taking the public train which we call Mass Rapid Transit, in short MRT. It has been long established in the past that No smoking was allowed while in the train station or platform (no smoking under cover shelters) and while in the train. There is also no flammable goods allowed on board as well but there wasn’t any security device used to screen passengers but it is advise not to bring it on board as commuters might thought you are a terrorist and tries burning down the train with the kerosene or petrol. Unfortunately, although Durian is considered the king of fruits but it is permanently banned from taking public trains. This is because the big shot carries a strong pungent smell which some thinks is an aroma while others thinks it is rotten junk. Anyway, not to dispute too much over a fruit, I think that was the reason why it was being banned from boarding the train. 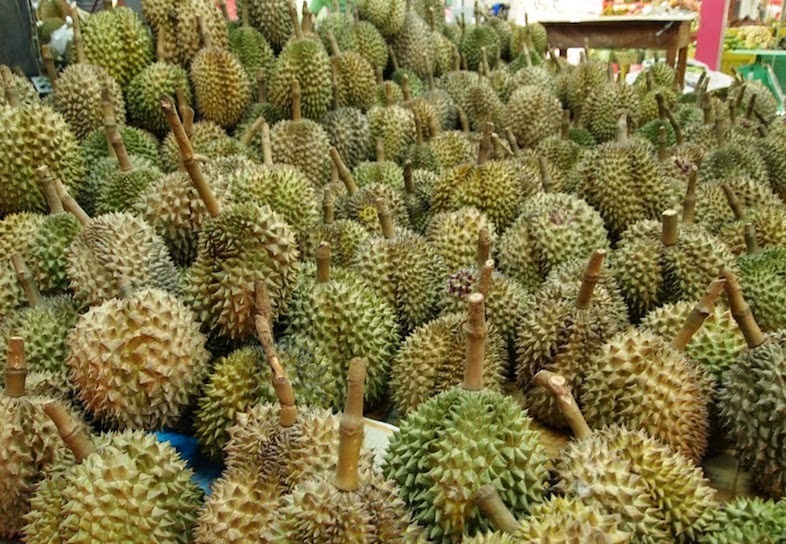 The fine for carrying durian on board was used to be $500, but maybe there are some changes ? Last, but no the least, no eating or drinking at the platform or on board. This law passed sparked some commotions in the past where drinking bottled water was prohibited and an case that a mother was breast-feeding her child while she was on board. So who are you going to fine ? The mother or child ? No Durian – S$ ??? LTA has contracted 6 traffic wardens from a private company at S$34,000 annually to take down the licence plate numbers, make and colour of vehicles that intrude into bus lanes during peak hours. They are incognito with cameras, so don’t be surprised if you are summoned though there are no Traffic Police around. Here are some of the “danger zones” provided from a other sources. FINE: S$130 for dropping someone off at or near the bus stop.